Widely considered Britain’s greatest painter, Joseph Mallord William Turner (1775–1851) is best known for his light-filled landscapes and seascapes. 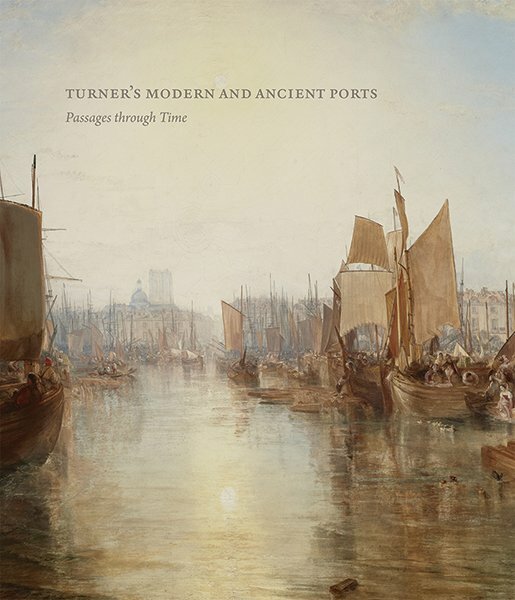 A relentless traveler, Turner often turned his artistic attention to the theme of modern and ancient ports. In the mid-1820s, Turner exhibited two monumental, and controversial, paintings of ports: Cologne and Dieppe. Shocking for their intense luminosity and yellow tonality, as well as for Turner’s unorthodox handling of paint, these works marked a transition in the artist’s career as he moved away from naturalism and toward a new, poetic topography. This in-depth study of these two seminal paintings also addresses a wide selection of Turner’s works in both oil and watercolor from the 1820s, placing them in the context of radical changes in British social and economic structures taking place at the time. Drawing from period travel accounts, contemporary critical commentary, and new technical analyses of Turner’s work, this magnificently illustrated book brings a fresh, new perspective to the pivotal middle years of Turner’s career. Susan Grace Galassi is senior curator at The Frick Collection. Ian Warrell is an independent curator. Joanna Sheers Seidenstein is the 2015–17 Anne L. Poulet Curatorial Fellow at The Frick Collection. Gillian Forrester is senior curator of prints and drawings at the Yale Center for British Art. Rebecca Hellen is paintings conservator at Tate Britain. Eloise Owens is a curatorial assistant at The Frick Collection.